Scroll or Page Down! For news, photos, reviews, links & MUCH MORE in this issue! We have the latest in Blues Society news from around the globe. A.J. 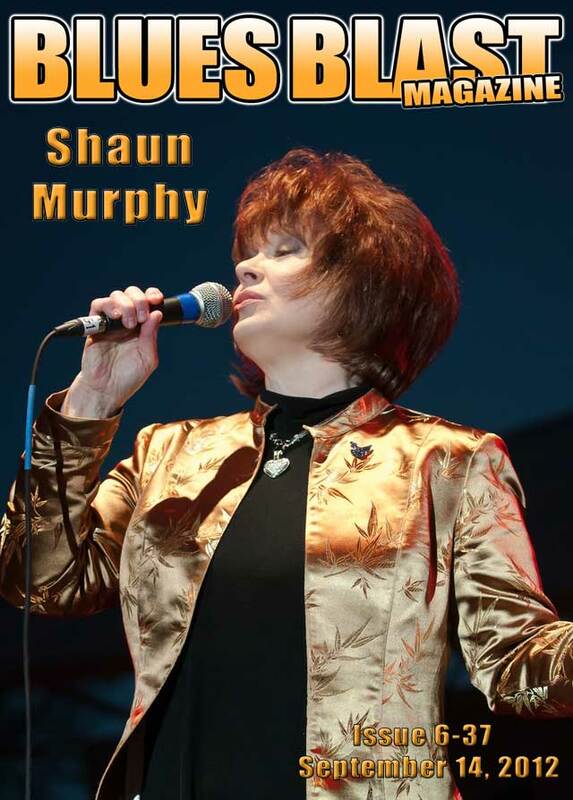 Wachtel has our feature interview with Shaun Murphy. 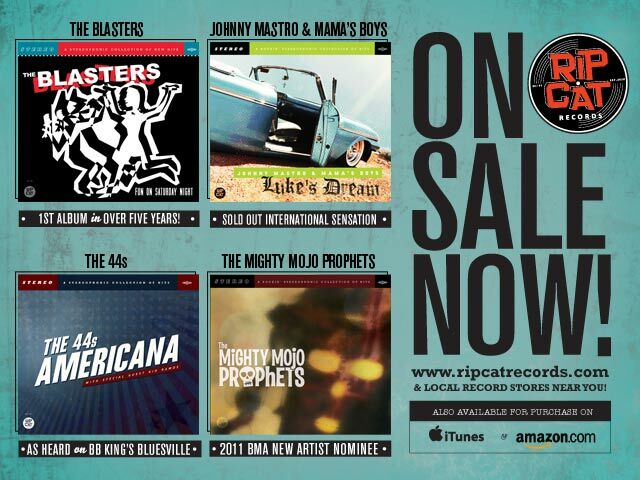 We have five music reviews for you! 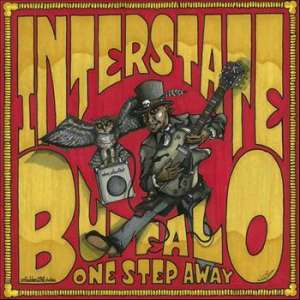 Greg “Bluesdog” Szalony reviews a new release from Interstate Buffalo. Rex Bartholomew reviews a new release from the Charles Walker Band. 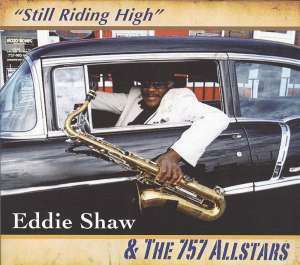 Rainey Wetnight reviews a new release from Eddie Shaw and the 757 Allstars. 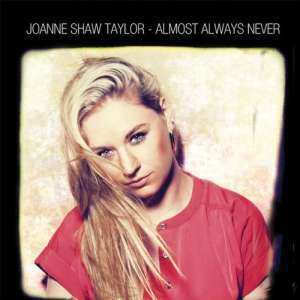 Ian McKenzie reviews a new album from Joanne Shaw Taylor. 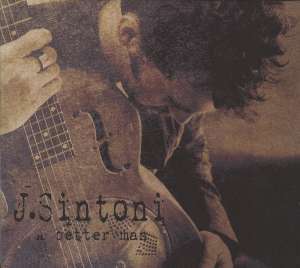 John Mitchell reviews a new CD from J. Sintoni. All this and MORE! SCROLL DOWN!!! It has been a couple weeks since the voting in the 2012 Blues Blast Music Awards ended on August 31st. Over the 2 months of voting more than 5000 fans voted and there were almost 3400 new subscribers. We finally got all of the new subscribers added today so I wanted to say welcome to Blues Blast to all the new readers. In case we did not yet have you added when the press release announcing the winners went out last Monday, you can see all the Blues Blast Music Award winners now on our website, CLICK HERE. We thank you for signing up for our free magazine and we hope you enjoy our efforts. We welcome your comments and feedback at . The first thing you notice about Shaun is her voice: she is equally captivating belting out a blues song in her own powerhouse style as she is softly singing a more introspective ballad. You listen and you are swept away; and this not an easy task to be authentic and mesmerizing on both sides of the genre. The second thing that jumps out is while her history shines with continuous successes singing rock, blue-eyed soul and r & b, currently Murphy is devoting herself totally to emoting in the style she loves best; the blues. And like usual, her incredible voice and strong focus differentiate this top talent from every other act on the scene. Born in Omaha, Nebraska, Shaun got started in music when "my Dad brought home a record player and two 45's: Elvis's "All Shook Up" and "Blue Suede Shoes". I loved music from that day forward. I would stand up outside on my swing set and sing as loud as I could the only other song I knew; Teresa Brewer's "Let Me Go Lover" for hours for all the neighborhood to "enjoy". (At 8 years old, I had no idea what the song was about but I liked her approach to the tune, I guess). Both my Mom and my Dad had singing voices but neither pursued music. My Dad was a motorcycle cop in Omaha, and my Mom was a waitress at a place called The Hawaiian Room in a fancy hotel in town. My late brother David had great musical talent , played many instruments and sang like an angel, but his life was cut short at 40 years old.. My brother Bob's a dj in the Lansing, Michigan area and my other brothers, Mike and Gary, are in other fields." And the bug bit hard and she wanted to become a performer at an early age. "Probably at around 5 years old, I was a dancing dervish.....I loved to perform in front of a camera. But that was my initial dream; to be in theater; musical or otherwise. I loved music and to tie both things into one was surely a fanciful dream". Her private loves quickly became public. "I started doing some acting in the 9th grade when a friend dared me to try out for the school play, and I wound up with the lead role. Then on to some summer stock acting roles and things and finally my acting teacher at school asked me if I could sing as they were planning on doing the musical "Guys And Dolls". "I'm not sure", I quipped, "but I'll join the choir and see if it sticks". After that is when I started to think that the industry, in some capacity, was where I wanted to be.. It just took a few winding roads to get there." Shaun moved to Detroit as a teenager and was first inspired by Detroit's red-hot blues world with her early appearance at the 1969 Ann Arbor Blues Festival. "I left Omaha when I was ten years old and moved to Iowa, then Michigan, so I'm a real mid-Western gal! I actually got turned on and inspired, bitten etc.on that 1969 Ann Arbor Blues Festival. Before that I "traveled" in the mainstream rock family in Detroit. It was just by accident that I was included in the Ann Arbor Blues Festival that first year. Back then, the "norm" was to include as many local acts at all festivals as possible, which is where we came in. Why they thought we'd make a good fit is anybody's guess; we were strictly rock. But as I said, listening to all these greats was all it took to take another turn and I instantly expanded my library to soak it all up. God works in mysterious ways....along with the bumps comes many gifts too.. Around that same time I also discovered the inimitable Aretha Franklin on Atlantic Records and all the other artists at Stax." Soon after being noticed by a Motown employee while singing in a touring theatre production with cast-mate Meatloaf, she was signed by Motown subsidiary Rare Earth Records in 1969 and together as Stoney and Meatloaf they put out an album in 1970. The duo was only short-lived and the label dropped Meatloaf but kept Murphy, then known as Stoney, under contract. What are the similarities between singing in a musical and fronting a band? "I've always felt that songs were an expression of at least part of a life story, thereby presenting the singer with a certain slice of life's emotions. You can see where that might translate into a portrayal, like a character in a play....."
After a period of inactivity with her new label in L.A. Shaun decided to leave the left coast over management changes and she returned to Detroit, her High School hometown and began working with Bob Seger in 1973 with The Borneo Band. They had previously worked together very early in Seger's career and to this day she has appeared on almost all of his studio session work since then and has toured with this rock icon since 1978. Would Seger or Meatloaf have been a better strictly-blues singer? "Bob Seger, for sure, was the one who could have done it! He's always come from a place with raw emotion, and an understanding of blues music, as well as a keen interest in soul music. To my knowledge, Meatloaf has mainly been ensconced in the rock world since I've known him, as far back as 1967." Murphy again returned to live in L.A. in 1985 to work with Eric Clapton on his "Behind The Sun" album and after hearing her sing, the best blues guitarist of his generation offered her a full-time position in his band for the whole tour. The Behind The Sun tour was featured at the first Live Aid Concert in 1985. "While on tour with Eric, we actually didn't have many blues artists or anyone come onstage and sitting in with us. I remember one time we were in Chicago, and we all went to Buddy Guy's place "Legends", were Eric sat in with Buddy there. But other then that, throw in Phil Collins at Live Aid...and Lionel Richie sat in once. Eric's shows were quite cohesive." Since 2009, Shaun has returned to being a solo artist and that September released "Livin' The Blues" followed by "The Trouble With Lovin" in 2010. Last year a DVD and live album, both titled "Shaun Murphy Live at Callahan's", recorded just outside of Detroit was made available to the public and has attracted attention from blues lovers all over the world.. For her today: it's all about the blues. "There are so many wonderful artists out there today. Of course, I still love my old favorites: Koko Taylor, Etta James, Denise LaSalle, Sister Rosetta Tharpe, Big Maybelle, Big Mama Thorton. 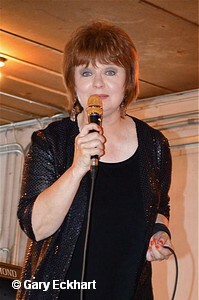 Shaun Murphy's career as a vocalist has been both as a band lead singer and session singer throughout her many years in the music industry. 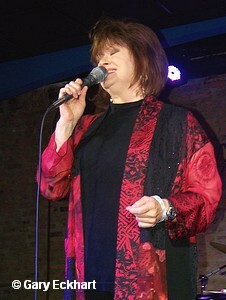 She has sung, toured and recorded with The Moody Blues, Bob Seger, Herbie Hancock, Phil Collins, Glenn Frey, Joe Walsh, Maria Muldaur, Bruce Hornsby, Michael Bolton, J.J.Cale, Coco Montoya, Alice Cooper and Little Feat. Just listen to her studio work with Collins, Jack Hiatt, Leon Russell, Cooper, Ted Nugent and Albert Hammond. And with a career spanning Rock, Blue-eyed Soul and R & B, she is now back to doing what she likes best singing the Blues. Best of all, she can be both a real blues belter or she can softly sing blues ballads with equal grace and power; no easy task. "I've been very fortunate to have many fans that like both of my styles, which suits me to a "T". I love to go back and forth, to grind out a blistering delivery and chase it back with something so soft and tender it makes you wanna cry. The bigger my reach gets, the more "likes" I get, so I need to get out on the Blues Festival trail and open up the whole world. I just love to get out there and see and meet all the folks that love the blues as much as I do." What's in this incredible artist's immediate future? "I have written a few songs with my friend Julie Black. And Marcy Levy, who worked with me in both Bob Seger and Eric Clapton's bands, has given me a few very cool tunes and has gathered some other great tunes for an upcoming CD. Working title: "Let's Talk About Love", a tune penned by my friend Bekka Bramlett. Bekka's also given me some other songs that will be on the CD also. I got together some great friends to make this the best one yet. I'm also planning on getting out more on the circuit. I can't wait and I've gotten some great requests to do more and more festivals than ever before; it's going to be an exciting upcoming year". In a musical era where great talent is sometimes the exception to the rule and where profit is the bottom line it is a great pleasure to see an artist with both incredible talent and the courage to follow her heart and sing the blues. And what a sound she makes! Interviewer A. J. Wachtel is a long-time entertainment journalist in New England and the East Coast who currently writes for The Boston Blues Society and The Noise Magazine. He is well known in the Boston and N.Y.C areas for his work in the Blues for the last two decades. Rip-roaring across the plains, here comes Little Rock Arkansas’ stampede of loud guitar-rock with all strings blazing on their first full length album. Kind of like The Allman Brothers Band with a heavy metal attitude and one “hot-shot” guitar slinger in the person of Stephen Compton. West Memphis native Jack Poff handles vocals with a commanding voice, as well as rhythm guitar duties. The drumming is of the “whack the crap outta everything variety. 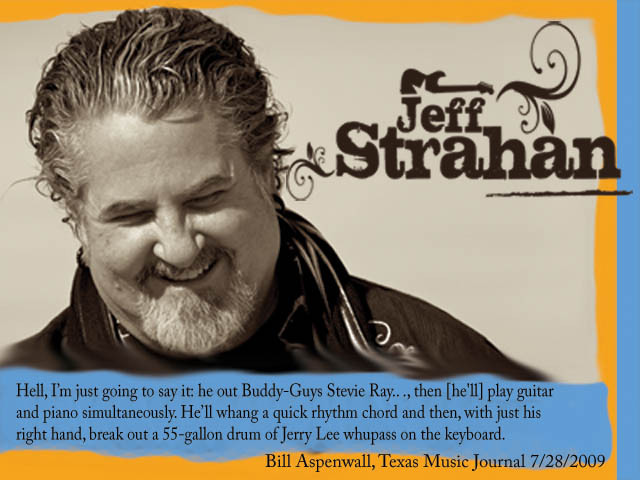 Power chords, screeching or Dickey Betts-like guitar are the order of the day, with occasional slashing slide guitar. There is no fear of dozing off to this stuff, and as an added bonus it will strip the paint from your walls. Hold on tight there, buffalo wranglers, the adventure is about to commence presently. Searing slide guitar the atmosphere to bits as hard, crunching Heavy Metal meets the Allman Brothers Band to duke it out on “Down In A Bad Way”. Now that your speaker cabinets are dusted off, here comes “Harp On”, featuring a sharp, biting guitar riff and some John Popper-ish harmonica wailing. “Waitin’ Blues” has some acoustic guitar scraping away deep in the sound mix…Why? It’s irritating. What sounds like The Allman Brothers dueling with Canned Heat’s Henry Vestine is the instrumental “Cousin”, which blazes to a guitar noise finale. “St. Peter” tells some bad folks that their chances for getting into heaven are slim and none…”The black cat came, he was scratching curiosities’ door”. Acoustic rhythm guitar is used to good effect on this tune. “Old Friend” features a Black Sabbath-like riff and a false ending. A virtual “guitar feast” is in store in “Running After Shadows”. “#57” is pretty much “Ramblin’ Man” for “head bangers”. This type of music is done up right by the band. A very skilled and varied guitar assault is unleashed over a bombastic rhythm section. Guitarist Compton is a master of his craft. His day job is that of a local guitar instructor. Jeff Poff has the heavy-duty pipes to be heard over the melee. This may or may not be your “cup of tea”, but one thing I can guarantee is that you will definitely know they were here. 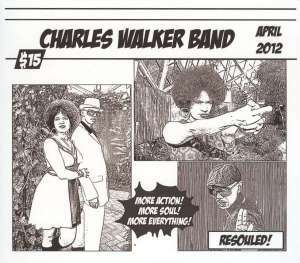 Charles Walker Band – Resouled! Charles Walker is a man of many talents, and highlights of his skills include not only songwriting, but also expertise on the keyboards and saxophone, and he shows a real flair for improvisation on both instruments. Over the years he has recorded six CDs and has led the Milwaukee-based Charles Walker Band since 2004. Their impressive gig schedule has resulted in the production of Resouled!, their latest release. At its root this is blues and blues-based music, but as Charles says, “This CD reflects the band’s eight year evolution, blurring the styles of soul. I stopped worrying about the blues and focused on groove.” He is not joking, and in addition to the blues you will hear funk and jazz influences throughout this album. Resouled! was recorded during two shows at the Hideaway Saloon in Louisville, Kentucky; it includes nine tracks, which are mostly originals with just one cover tune: Muddy Waters’ “Rock Me Baby.” The personnel for this effort include Porsche Carmon with the lead vocals (and congas), Charles Walker on keyboards and sax, Brad Karas on bass guitar, Demetris Vance on drums and special guest Dan Kennedy on the guitar. Besides his bass duties, Karas also took care of the sound and was in charge of mixing and mastering for this CD. 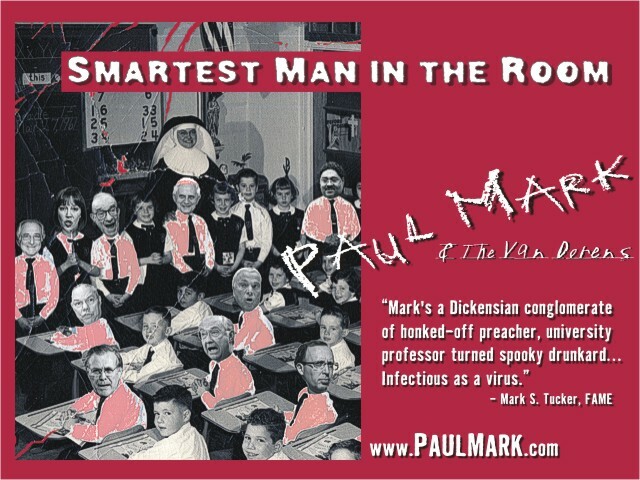 And this is truly a live CD, so it is raw and vibrant, and not nearly as slick as a studio-produced release. You will hear some 60-cycle hum here and there and a little of the banter from Porsche and Charles, as well as responses from the audience. I found that with the way this album was mixed I lose a lot of the bass and dynamics when I listen to it in my car (even though it has a very good audio system), but it sounds great through my home system or headphones. I guess I had to lose most of my background noise so all of the nuances could be heard. The first track on Resouled! is “Used and Defiant,” which is also the song they used to kick off their set, and this funk tune really gets things moving in a hurry. As the vintage-sounding keys play over Karas’ popping bass and Vance’s rock-solid drumming, Carmon welcomes the Louisville audience and immediately lets them hear a sample of her vocal range and strong voice before turning things over to Walker for some impressive tenor saxophone improvisation. The band is very tight throughout, and they do marvelous job holding together the syncopated bridges after the solo. “Rock Me Baby” lets Kennedy cut loose on the guitar and we get to hear a bit more of what Carmon can do with that fabulous voice of hers. Not to mention how cool it is to hear a woman sing this Muddy Waters classic, as this gives this song a whole new meaning to me. Walker gets in a good solo in on this one too, and Vance improves on the original backline with a little more aggressive drumming than usually is heard on this cover. This project wraps up with a bang as the band hammers out “Crawlin Home,” a raucous saxophone-infused instrumental. This piece is a clinic on what a blues horn should sound like, and Charles has some fabulous interplay with the Kennedy. And you will find that this mixes well with the tasteful walking bass part and tons of crash cymbals. But this finale left me with one question: who is playing that thunderous Hammond while Walker is tending to the horn? Resouled! is a great showcase of the Charles Walker Band’s live show, and it really emphasizes their enthusiasm and love for the music. Looking at their schedule, it appears that they mostly tour the Midwest, but they are making it a little further out west around New Year’s, so if they do get out your way it would be super cool to catch one of their shows. I am going to keep an eye on their schedule and hope they make it out to Southern California sometime soon. The River City Blues Society and Freebird Chapter of Abate of Illinois presents Bikes, Blues and BBQ September 29th at VFW Post 1232 at 15665 VFW Road, Pekin, IL. The show starts at 1pm and features 3 bands including Nick Moss & The Fliptops, Rooster Alley and The Governor, The event features BBQ by Sammy Lynn's Smokehouse, beer, soda and water for purchase. Bring your lawn chairs. Admission is $10. The DC Blues Society - Washingon, D.C.
DC Blues Society: Celebrating the Blues for 25 years in DC-MD-VA! DC Blues Society's Annual Battle of the Bands takes place 7:00 pm - 12:30 AM on Saturday, October 13, 2012 at American Legion Post No. 268, 11225 Fern Street, Wheaton, MD. Plenty of free parking! The winner represents DCBS at the International Blues Challenge and local events like the Annual College Park Blues Festival at Ritchie Coliseum, University of MD in College Park, MD on Saturday, Nov. 10, 2012 and 25th Annual DC Blues Festival in Washington, DC on Saturday, Aug. 31, 2013. This is your chance to support your favorite group and learn more about area bands. A night not to be missed! Prairie Crossroads Blues Society of Champaign-Urbana, Illinois will hold its 2nd Annual Local International Blues Challenge on Saturday, October 20th at Memphis on Main, 55 East Main St., Champaign. The winning band will receive a minimum of $1000.00 in travel assistance and go on to represent our blues society at the 2013 International Blues Challenge scheduled for January 29- February 2, in Memphis, Tennessee. We will provide a drum kit donated by Skins-N-Tins Drum Shop. All bands taking part in the event will be able to sell their CDs. Please visit www.prairiecrossroadsblues.org/ibc_challenge13.html to find out more about our event and other rules for competing bands. Deadline to enter is Tuesday, September 25, 2012. Event start time will be determined by the number of bands competing. The Mississippi Valley Blues Society presents Studebaker John and the Hawks on Sunday, September 16, at 5:30 at Martinis on the Rock ((34th Street and Blackhawk Road, Rock Island).Admission is $5 for members of the Mississippi Valley Blues Society or $8 for non-members (membership applications will be available at the door), or FREE for all participants in the September 16 Bikes and Blues Fun Run. September 16 is the last chance to participate in the 2012 Bikes and Blues Fun Run presented by the Mississippi Valley Blues Society. The Fun Run will start at Ducky's Lagoon (Andalusia, IL) and wrap up at Martini's on the Rock (Rock Island, IL) with stops at Buelahs (New Boston, IL), The Pub (Oquawka, IL), and Beer Belly's (Aledo, IL) in between. Cost is $5 per rider entry and will include admission to see Studebaker John and the Hawks at Martinis. Entry to Fun Run starts with check-in between 10:30 am - noon (last bike out at noon) at Ducky's Lagoon in Andalusia, IL. Last bike must be in at 5:00 p.m. at Martini's on the Rock in Rock Island, IL to be eligible for card drawings and door prizes. All vehicles welcome! For more information on events presented by the The Mississippi Valley Blues Society visit: www.mvbs.org ; or email mvbs@mvbs.org . West Virginia Blues Society - Charleston, W.V. The West Virginia Blues Society will hold its Sixth Annual Blues Competition on October 13, 2012 at The Sound Factory, 812 Kanawha Blvd. Charleston, WV 25301. Blues bands, solo/duo and a Youth Division blues acts will compete for cash prizes and WVBS sponsorship to the Blues Foundation's International Blues Challenge held in Memphis, Tennessee. Jan. 29 - Feb 2 - Jan 2013. CONTACT PERSON FOR COMPETITION PARTICIPANTS: Complete information, application & rules are available online at www.wvbluessociety.org . Deadline for application submission is September 21, 2012. For more information contact Competition Director, Mike Price at 304-389-5535 or e-mail: utauka@hotmail.com or Jack Rice at bkravenhawk@gmail.com. 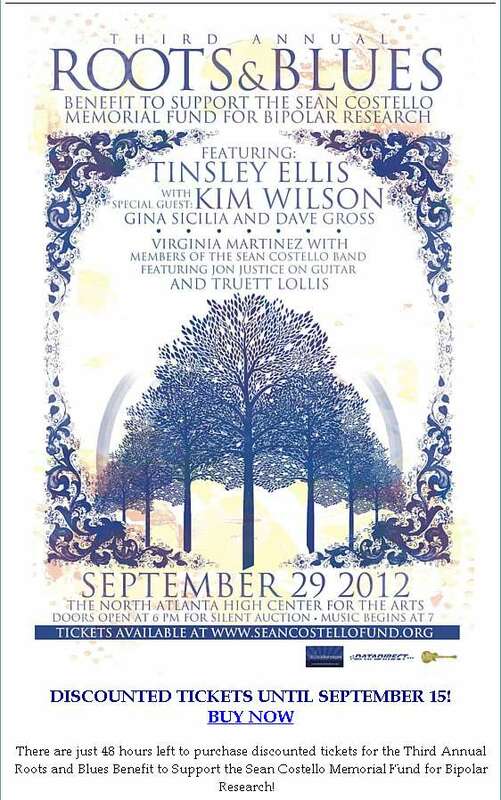 Decatur Blues Society will hold their annual "Road to Memphis" blues challenge on Sept 22, 2012. Open to both band and solo/duo. 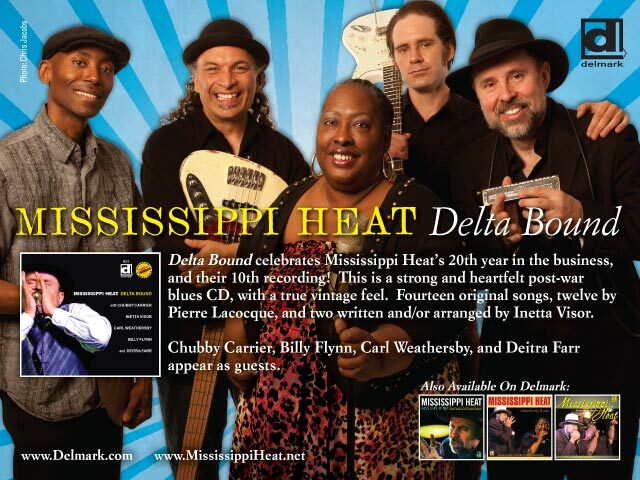 Winning band and winning solo/duo will represent the Decatur Blues Society in the International Blues Challenge held in Memphis in Jan 2013. 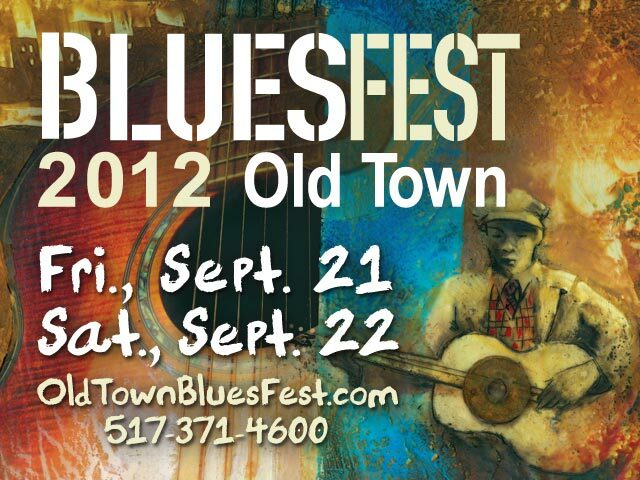 Entry forms and complete info can be found at www.decaturblues.org. Ventura County Blues Society - All members of the VCBS with I.D. receive $5. off the price of admission for the Blues, Brews And BBQ Blues Festival on Sunday, September 16 in Mission Park, Ventura, Calif. featuring sets by The Fabulous Thunderbirds; Walter Trout; Rod Piazza and the Mighty Flyers; Chris Cain; Crossfire (Stevie Ray Vaughn Tribute band); and Michael John and the Bottom Line. Go to www.californiabeerfestival.com to purchase tickets and for more information. CBF event proceeds benefit DARC (Dyslexia Awareness And Resource Center) and the Gen Giammaco Foundation. Track 01: “Sack Full of Blues”--This effervescent instrumental will lift listeners’ spirits as it begins the CD. Bill Kelly’s bouncy bass, perfected by his fifty years of playing it, will help anyone dancing along to make sure their fast feet don’t miss a beat. Hugh “Chuck” Williams, a Vietnam veteran and saxophone player for Albert Collins, is also featured here. “Sack Full of Blues” and the eleventh track, “Rock This House,” are like bookends: their themes match, and they reinforce one another’s party vibe! Track 04--“Paris in the Fall”-- France’s sophisticated capital is not usually associated with the blues, but that doesn’t stop vocalist Bruce Gray from loving it “most of all” when autumn rolls around. He esteems it above “New Orleans, good gumbo soup and cabbage greens!” This reviewer would like to coin a new term, “saxduction,” for what Shaw does here with the sultry sounds of his favorite brass horn. However, Thomas Fisher’s tinkling piano notes are what call colored leaves cascading through the air to mind! Track 07: “Blues Dues”-- Jackie Scott, executive producer of this album and prominent chanteuse in her own right, provides vocals on this masterful slow-blues ballad. She pays remarkable attention to her phrasing--which musical notes she holds, and for how long. Listening closely, lyrics lovers will rediscover that not every word in a song deserves equal emphasis. The effect is chilling: one of a soul in torment, but trying to make the best of perdition. Paying “Blues Dues” along with Scott are Thomas Fisher on piano, Mark Hopkins on guitar along with Rich Ridolfino. Reviewer Rainey Wetnight is a 32 year old female Blues fan. She brings the perspective of a younger blues fan to reviews. 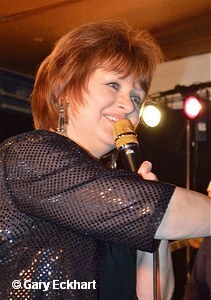 A child of 1980s music, she was strongly influenced by her father’s blues music collection. On June 4, 2012, Annie Lennox, performed her song “There Must Be An Angel” in front of Buckingham Palace for the British Queen Elizabeth's Diamond Jubilee concert. At three minutes in, as the huge orchestra begins rocking out, Lennox turned to the band for a lead guitar solo and millions of people all over the world saw a blonde vision in a white suit with angel wings step forward and deliver a stunning solo on a Les Paul. Many people watching probably said, (using the title of another of Lennox’s songs )“Who’s That Girl”? Some of us already knew. It was British guitar sensation Joanne Shaw Taylor. ( See the video here - http://www.youtube.com/watch?v=OtNJ0lKwfLk). Joanne is still in her mid-twenties and has hundreds of live performances behind her. In 2010, she won the Female Vocalist award in the British Blues Awards (BBA). Her previous albums were 2009’s White Sugar, (nominated for Best Debut in the 2009 Blues Blast Music Awards) and 2010’s Diamonds In The Dirt both of which peaked at number 8 in the US Billboard Top Blues Albums chart. 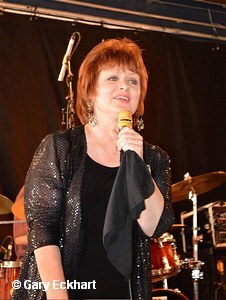 In the 2011 British Blues Awards, Taylor won both the Female Vocalist and Songwriter of the Year, the latter for her track "Same As It Never Was" from her album, Diamonds In The Dirt. She is a nominee for Female Vocalist in the 2012 BBAs. They say that the third album is the most difficult to do. It has to be a balancing act between maintaining a trajectory and the dangers inherent in repeating the sounds and styles of the first two. Well, no problem here. Joanne wisely chose to make the album in Austin, TX, under the supervision and direction of producer Mike McCarthy (Patty Griffin, Spoon) and with David Garza (keyboards), Billy White (bass/slide guitar) and J.J. Johnson (drums). Although as usual Joanne’s song writing skills are to the fore, she seems to be plowing a new furrow. As always this CD is a showcase of Joanne's immense skill as a blues rock guitar player but her songwriting is poetic and articulate and presages a new age by an artist simply head and shoulders above the rest. Her voice has a timbre and a maturity that belies her years and as a lyricist she is “almost always never” to be beaten. Outstanding. Get it today. Reviewer Ian McKenzie is English and is the editor of Blues In The South, [http://www.bluesinthesouth.com] a monthly blues information publication. He is the producer/ host of two blues radio shows Blues Before Midnight on KCOR (Kansas City Online Radio: www.kconlineradio.com) Fridays; and Wednesday's Even Worse on Phonic FM (www.phonic.fm) alternate Wednesdays. J. Sintoni is a 38 year old Italian who has been playing the blues in Italy since his early twenties and has played with or opened for American artists as diverse as Poppa Chubby, Grayson Capps and John Hammond. This is his second CD and it is good to see that all the material is original. J. (we are not told his actual name) provides all guitars and vocals, Andrea Taravelli plays bass and Carmine Bloisi drums. Electric piano is added to two tracks by Andrea Spadaro. All lyrics are in English and J. sings well with almost no trace of accent. The album was recorded in Italy in 2011 and is available from CD Baby. The opening track “A Better Man” sets the tone for the album with tasteful guitar and a solid rhythm section providing good support. J’s lyrics here are fine but on the second track he falls into what, for me, is the main weakness of the album, lyrics that are really too ‘wordy’. The opening lines are a good example: “I keep on falling to this earth from the perfect skies of my dreams; every morning you save my life protecting me from the ground of reality”. The music to this song (entitled “Don’t Wanna Be Nice”) is more aggressive in style although much of the album is quieter, as demonstrated by “Consequence” which has some delightful guitar that recalls Mark Knopfler. The one track on which J. collaborates in the writing is “The Lady Is A Carpenter (Hot Glue)” which I found quite odd in terms of the lyrics, the ‘hot glue’ of the subtitle apparently being the lady carpenter’s preference over screws. The song also lists several types of wood that a carpenter might use – not your usual blues lyrics! The music however, is certainly blues with some strong King influences, both Albert and BB to my ears. The album continues with “Love Should Never Lose” which is a classic slow blues tune. There is a little more evidence of overwriting the lyrics but the playing is excellent. “Good Vibe” is an instrumental with a stop/start rhythm and a wah-wah solo before we hear “The Wish” which again has some superb, restrained guitar with a touch of latin feel. “Get Down” sounds like a song that will fill the dance floor but is in fact a ballad introduced by acoustic guitar before a country influenced electric guitar appears. A nice tune and a lyric that is exemplified by the chorus: “All we need is to get down and walk like a simple man”. “Two Feet” is back in blues territory with a nice shuffle and the album closes with a long instrumental entitled “Song For Stevie And Jimi” which, not surprisingly, sounds like “Little Wing” meets “Riviera Paradise”, all very well played and quite fun to listen for the SRV and Hendrix tricks. There is also a short hidden track with a spoken (female) vocal over some background acoustic slide guitar. J. Sinoni is an accomplished guitarist who demonstrates here a mastery of several styles within and beyond the blues. The CD is well recorded and produced and merits serious consideration from those who enjoy well played blues and rock at the lighter end of the spectrum. Reviewer John Mitchell is a blues enthusiast based in the UK. He also travels to the States most years to see live blues music and enjoyed the Tampa Bay Blues Festival in April. Performance dates were submitted by Musicians, Club Owners, Blues Societies and Blues festivals. TheBluesBlast.com is not responsible for errors or omissions. Performance dates submitted by Musicians, Clubs, Blues Societies and Blues festivals. Festivals... Blues Blast Magazine & TheBluesBlast.com's website are great ways to promote ANY Blues event or product. In fact we believe we just might have THE best Blues advertising vehicle anywhere to promote YOUR Blues event! Blues CD's... For less than the cost of one small ad in a newspaper, you can advertise your shows, new CD or any Blues product. A great way to get the Blues word out! Blues fans WANT to know about your Blues event of product. Call Bob at (309) 267-4425 or send an email to for a confidential quote today! We also offer effective advertising for Festivals and Club Owners, Recording Companies and Performers. 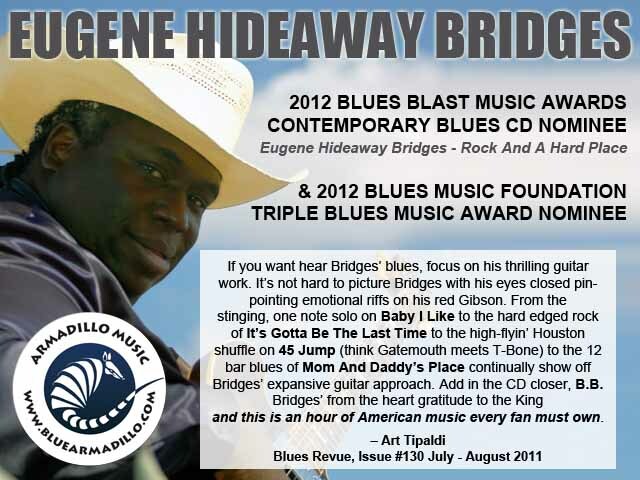 Put your Blues advertisement on our homepage at: http://www.TheBluesBlast.com either as a sponsored event or as a featured event, product, recording or merchandise. We get 33,000 visitors and 2,000,000 hits A MONTH on our website! More than 22,000 Blues Fans, Musicians, Recording Companies, Club Owners, Blues Societies and Festival Promoters in all 50 states and in more than 80 countries read the Blues Blast magazine each week. You can feature your event or product in the largest FREE internet Blues magazine delivered right to your inbox each week.